Investigating officer, Detective Constable Surinder Nota, said: "This was a vicious assault and one which was motivated by homophobia; one of his victims suffered very serious injuries but thankfully he is well on the road to recovery. 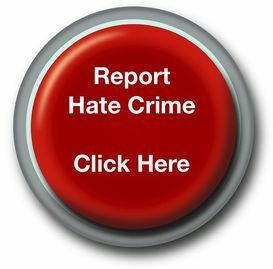 "Hate crime will not be tolerated in the West Midlands by our communities, the courts or the police. This is a very strong sentence which rightly reflects the gravity of the attack." The older man – who was living in Acocks Green at the time of the incident – was shoved to the ground and then kicked in face. Surgeons later inserted metal plates into the man's face in order to realign broken bones. DC Nota, added: "Martin was part of a group of men numbering four or five individuals – they were involved to a much lesser extent with Martin the lead aggressor. He was described in court as the 'ring leader'. "He admitted punching the couple but denied kicking one of them in the face which delivered the most serious injuries – however his actions were caught on CCTV camera footage. "Martin also denied his actions were prompted by homophobia but witnesses describe him hurling a barrage of insults at the pair and also making offensive gestures."